This white styrene mock-up has very few of the exterrior details present on the final version of the toy. Every feature appears to be in order. Notice that the chess table is orange though they don't even mention this as one of the important additions to the interior. There's really not much you can say about this because it was definitely a 1:1 scale mock-up created for early photography and conceptual purposes. Still, it's really neat to see something like this and to realize what it was created for and what it helped spawn. 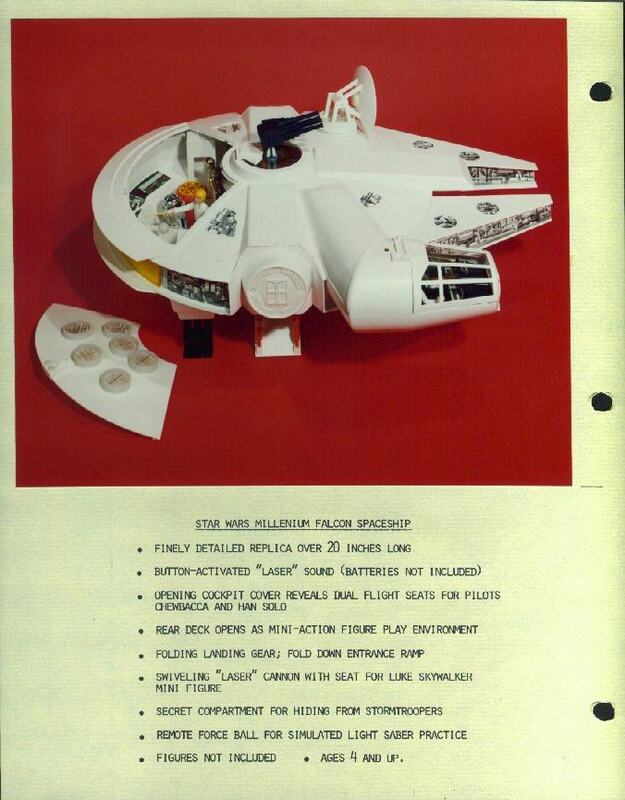 The Millenuim Falcon has been a backbone of Star Wars toys since 1977. In fact this toy was so good that Kenner used the same molds to re-create it back in 1995.